See scan - perfect conditiopn. 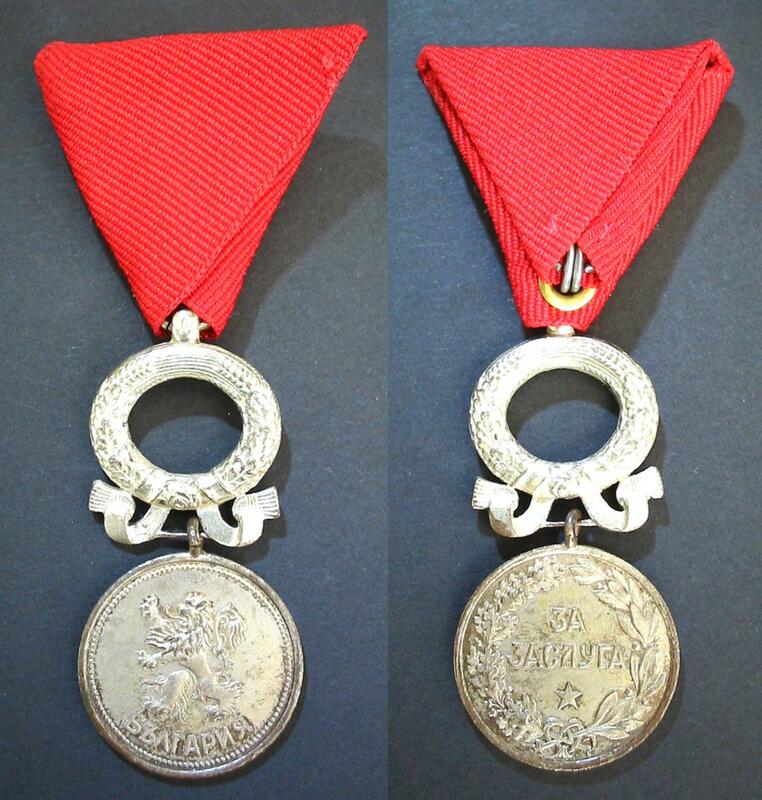 This is a nice and rare late WWII and post King Boris III era Medal of Merit - Silver Class with Regency WREATH. The medal has an altered design compared to earlier Bulgarian Royal Merit medals with a lion at obverse instead of the portrait of the monarch plus the 1944 crown was exchanged with the 1945 wreath. Those were issued and awarded after King Boris' death and after 1945 when Prince Simeon was the Prince Regent under first Communist ruled government. 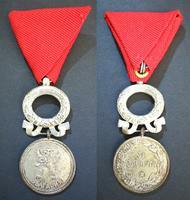 Later in 1946 King Simeon II fled into exhile and the medal was abolished. Rare military / militaria collector piece and one of the rare Bulgarian medals.